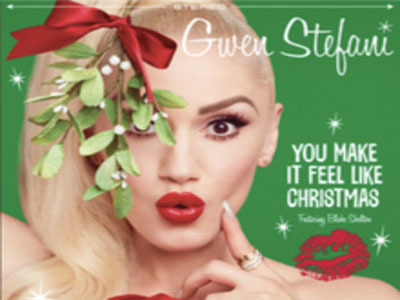 "You Make It Feel Like Christmas" is the fourth studio album by American singer-songwriter Gwen Stefani. It features guest vocals from Blake Shelton and was released on September 22, 2017 as the album's lead single through Interscope. The album, which is Stefani's first full-length Christmas-themed album, was released on October 6, 2017, by Interscope Records. Information regarding supposed song titles were leaked in August 2017, leading the public to believe she was recording a holiday album. It has been used in Starbucks' "Togetherness" commercial to promote its Christmas campaign. She confirmed the news the following month and announced the project's release date. You Make It Feel Like Christmas ringtone supported to music and install music when go to christmas. In the United States, it missed entering the Billboard Hot 100, and instead debuted and peaked at number eleven on the Bubbling Under Hot 100 extension chart. It also charted in Scotland and on the adult contemporary charts in the United States and Canada.